Galápagos birds – including seabirds – are facing considerable threats from human-induced activities like climate change, pollution and resource use. A new study shows that unless current conservation measures are increased, their future conservation is precarious. 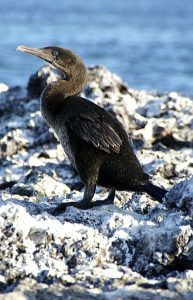 “The study aimed to create and implement effective conservation efforts that would enhance and recover threatened bird populations in the Galápagos Islands,” said Dr. Juan José Alava, senior author of the study and Research Associate (Honorary) of NF-UBC Nereus Program at the Institute for the Oceans and Fisheries. A joint effort between diverse institutions and scientists, the study analyzed conservation efforts on Galápagos birds by assessing the environmental threats and anthropogenic impacts affecting them. Of the 20 endangered bird species studied, seven of them are seabirds and aquatic birds, including the Galápagos penguin, the Flightless Cormorant and the Galápagos Albatross. Currently, five out of seven of these bird species studied were found to have declining population trends. 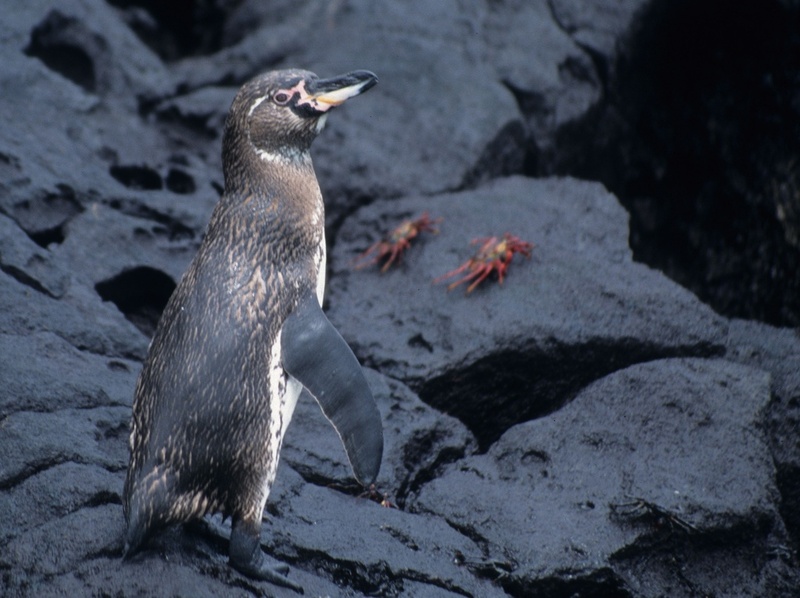 Many Galápagos species, like the Galápagos penguin and Flightless Cormorant, are endemic. This means that they are found only in the Galápagos and nowhere else in the world – and that once they are lost, they are lost forever. Losing bird species can not only affect the health of Galápagos ecosystems, but also negatively impact people and local eco-tourism activities reliant on wildlife. Losing bird species can not only affect the health of Galápagos ecosystems, but also negatively impact people and local eco-tourism activities reliant on wildlife. One major threat to seabirds highlighted in the study is climate change. Given the seriousness of such threats, the researchers predicted the birds’ population trends in ten years’ time based on two conservation scenarios to see how they would fare in the future. The first, known as status quo or “business as usual”, assumes current conservation efforts will either continue as planned or deteriorate over the next ten years. The second, Avian Diversity Vision, assumes much higher conservation goals will be achieved. To support the birds, the researchers argued that management must be much more aggressive like what is proposed under the Avian Diversity Vision scenario, especially for threats that can be reduced or eliminated. This will help bird populations, many of which are currently declining, to achieve stable or increased populations in the future. The researchers proposed that conservationists adopt the 50/500 rule for Galápagos birds, which suggests short-term and long-term minimum population sizes of 50 and 500, respectively, so that species can exist in the future with viable population sizes. Breeding programs and restoring areas destroyed by natural disasters are also crucial to species conservation. Specific actions to protect seabirds included better fisheries management and the switch from longline fisheries – which hurt the survival of some Galápagos Albatross populations – to less harmful fishing methods. “A particular man-made threat to assess and research further in the future is the impact of industrial fisheries on the seabirds’ feeding grounds and their prey,” said Alava. This is important as illegal industrial fishing often occurs on the Galápagos high seas and around Galápagos waters. “In order to ensure the long-term survival of bird species inhabiting the marine waters and coastal habitats of this unique UNESCO World Heritage site, we need precautionary conservation efforts and adaptive management actions,” said Alava. The researchers and institutions involved in the study are Juan José Alava from the Institute for the Oceans and Fisheries and the Fundación Ecuatoriana para el Estudio de Mamíferos Marinos, Gustavo Jiménez-Uzcátegui from the Charles Darwin Research Station, David Wiedenfeld from the American Bird Conservancy, Carlos A. Valle from Universidad San Francisco de Quito and the Galápagos Science Centre, Paolo Piedrahita from the Faculty of Rife Science, and Laia J. Muñoz-Abril from the Galápagos Science Center and Facultad De Ciencias De La Educación E Idiomas. The article “Threats and Vision for the Conservation of Galápagos Birds” was published in the journal The Open Ornithology Journal. 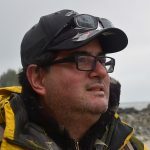 Find other stories about: Juan Jose Alava; seabirds; climate change; conservation; Nereus.